Structure sections through the Uinta Mountains. Displacement diagrams ... through the Uinta Mountains. North-western Colorado and part of Utah. 1 : 253440 Hayden, F.V. 1 : 21170 Hayden, F.V. Map of the State of Colorado. Thayer's New Map Of The State of Colorado. 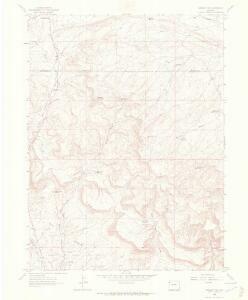 1 : 887040 Thayer, H. L.
Rand, McNally & Co.'s new geological map of Colorado. Map Of Colorado Territory, Shewing The System Of Parks. 1 : 1850000 Mitchell, Samuel Augustus Jr.
1 : 1520640 Thayer, H. L.